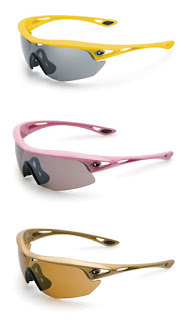 Giro had released three special edition versions of its popular Havik glasses, as big a hit with consumers as with pro riders, to commemorate Alberto Contador's victories in all three of cycling's Grand Tours; the Tour de France, Giro d'Italia and Vuelta a España. 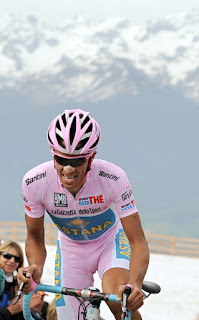 25-year-old Contador has risen quickly to the top of the professional cycling ranks, collecting the top honours at each of the three biggest stage races on the calendar, all within a 14 month period. Impressive stuff indeed, and there's surely many more race wins coming the relative youngster's way. So, to celebrate, Giro has produced a limited edition of 500 pieces (worldwide) of their Havik sunglasses in each of the celebrated colours that represent the leader's jersey for those iconic races - yellow frame with grey lenses for the Tour, pink frame with rose silver lens for the Giro, and a gold frame with brown bronze lens for the Vuelta. Super Fit nylon frame that is specifically designed to integrate seamlessly and perfectly with almost every helmet. The Carl Zeiss certified lens is an impressive bit of polycarbonate with superb clarity and lack of distortion that easily trounces the vast majority of single-lens competitors. Giro has an exclusive agreement with Carl Zeiss Vision Sunlens, producer of the world's finest eyeglass and sunglass lenses and precision optics for over 100 years, to offer Zeiss Certified True Sight™ lenses as an option throughout the collection. Dura Clean™, a hydrophobic hardcoating process that repels water, oils and debris that can compromise vision. The semi-visible “Z” engraved onto each lens is a uniqueness of ZEISS products. This mark allows you to recognize the authenticity of the lens against imitations and it certifies the conformity to the highly restrictive ZEISS standards. 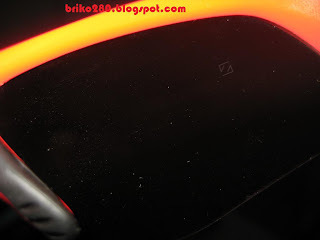 The unique quality control procedure has introduced parameters and procedures used in the ophthalmic market, which are far more severe than the International Standards for sunglass lenses. This means that every single piece marked with the “Z” satisfies all those requirements, including abrasion tests, optical and design tests, durability tests and inspection tests. All to a higher level.